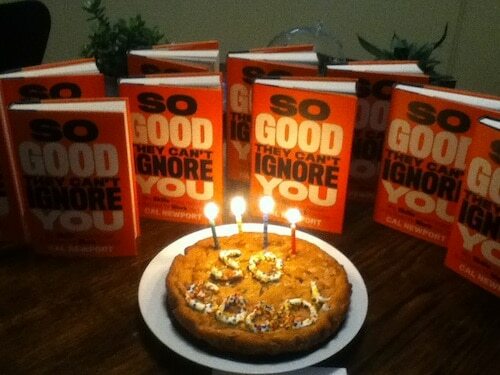 The cake my wife surprised me with to celebrate the release of my new book. I wrote my first book when I was 21. At the time, I thought it would be an interesting, one-time challenge. But it didn’t take long before a more ambitious goal emerged. I decided that I wanted to one day write a big deal hardcover idea book, in the style of the non-fiction authors I admired, such as Steven Johnson and Bill McKibben. It took me two more books, a stellar agent, and a decade of training, but today I finally fulfilled that goal. My first hardcover idea book, So Good They Can’t Ignore You, is now available. It will be on the New Arrival table at Barnes & Noble stores across the country and available in all relevant online stores and digital formats. This is an exciting day for me and one that never would have happened without you, my readers here at Study Hacks, who have helped me hone my arguments and my craft. So I humbly thank you. This brings me to today’s post. I have two goals in the sections below: (1) to tell you a little bit more about the book; and (2) to tell you how you can win a chance to speak with me one-on-one about any topic of your choosing. This quest took me across the country. I met with organic farmers, venture capitalists, computer programers, college professors, med school residents, and globe-trotting tech entrepreneurs, among many others, all in an effort to understand how people cultivate compelling careers. My new book chronicles this quest and what I discovered. Rule #1: Don’t Follow Your Passion. Here I make my argument that “follow your passion” is bad advice. You’ve heard me talk about this on Study Hacks, but in this chapter, I lay out my full-throated, comprehensive, detailed argument against this common advice. Rule #2: Be So Good They Can’t Ignore You. Here I detail the philosophy that works better than following your passion. This philosophy, which I call career capital theory, says that you first build up rare and valuable skills and then use these skills as leverage to shape you career into something you love. 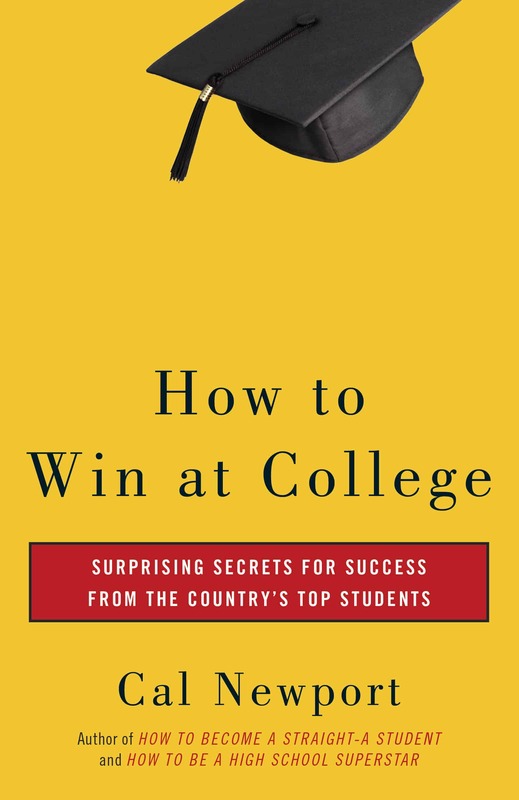 During this chapter I spend time with a professional guitar player, television writer, and venture capitalist, among others, in my quest to understand how people get really good at what they do. You’ll also encounter a detailed discussion of deliberate practice and how to apply it in your working life. Rule #3: Turn Down a Promotion. Here I argue that control is one of the most important things you can bargain for with your rare and valuable skills. I discuss the difficulties people face in trying to move toward more autonomy in their working lives and describe strategies that can help you sidestep these pitfalls. During this chapter, I spend time with a hotshot database developer, an entrepreneurial medical resident, an Ivy League-trained organic farmer, and Derek Sivers, among others, in my attempts to decode control. Rule #4: Think Small, Act Big. In this final rule, I explore how people end up with career-defining missions — often a source of great passion. I argue that you need rare and valuable skills before you can identify a powerful mission. I then spend time with a star Harvard professor, a television host, and a Ruby on Rails guru, all in an effort to identify best practices for cultivating this trait. I conclude the book by talking about how I apply these ideas in my own career. You’ll hear about my academic job search process and the types of systems I have in place to help push me toward more and more passion in my work. If you’re serious about loving what you for a living, and are tired of people reducing this complex goal to a simple slogan (“do what you love! the money will follow”), then this book is perfect for you. (If you’re on the fence, check out the endorsements from folks like Seth Godin, Reid Hoffman, Dan Pink, Kevin Kelly, and Derek Sivers, or the growing number of unsolicited 5-star reviews). Purchase details: You can buy the hardcover at most book stores and online at Amazon, B&N.com, 800-CEO-READ, and IndieBound. The book is also available in Kindle , Nook, and audio formats. To help motivate you to buy the book during this crucial first week I’m offer a promotion in which I’m giving away 30 minute, one-on-one phone calls with myself, to talk about any topic of your choosing. I am holding three separate random drawings: one for people who preordered the book; one for people who buy the book this week; and one for people who buy five or more copies of the book. (Not very many people buy in bulk, so if you do, you’ll probably have a good chance of being drawn). I will use random.org to draw winners from each category next Monday. The number of winners I draw will depend on how many entries I receive. If you win, I’ll notify you by e-mail, and we’ll set up a time to chat on the phone. My friend Tammy Strobel’s new book, You Can Buy Happiness (and It’s Cheap), was released today as well. I devoured a review copy of this title and found it exceptionally stimulating. Tammy, who lives in a tiny house in rural California, will challenge your thinking on what defines a good life. Just wanted to point out that the links to Amazon in the blog post are broken. Would be great if we can get it in Kindle format in the UK (amazon.co.uk) – is this possible? Congrats, Mr. Newport! I bought a copy on Kobo today! Congrats on your book as well! I pre-ordered yours through iBooks but for some reason, but much like the person that posted about the broken Amazon link, iTunes is not letting me complete the download. Already bought a copy! Congrats on publishing an awesome book full of even greater ideas! 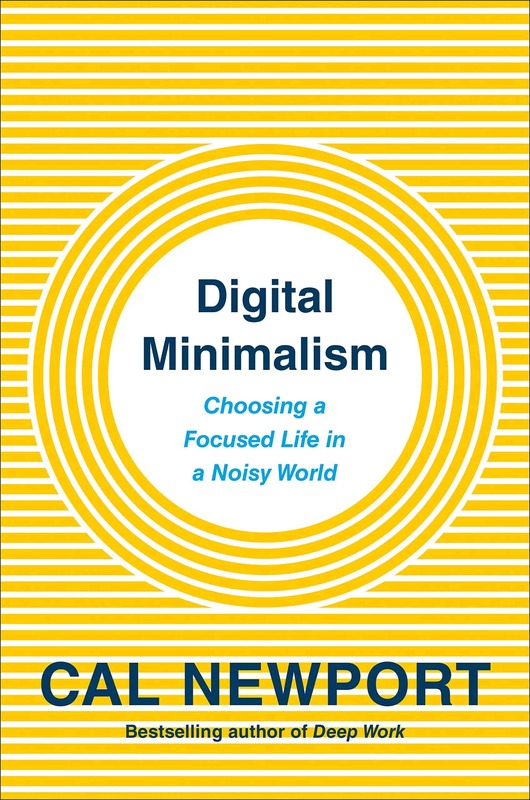 Is the electronic (kindle) version available outside the USA? I’d like to purchase a copy in the UK but at the moment it says not availabke. Just a quick question, did you create that facebook page for the book? Or did someone else? Just bought. Keep up the good work for me! Excellent work, Cal. Read it straight through today and thoroughly enjoyed it. Congrats. Is it going to be available on kindle? I can’t seem to find a version on the kindle store. Great book! I devoured it and thank you so much for writing it. It has had a huge impact on me — and not every book in this field has done that. Any and all accolades you receive for the book are indeed well deserved. We need an international Kindle version! I am in Australia and it says it is not available. Unfortunately the book isn’t available on Kindle in the UK. I’ll look into the UK Kindle question. I know they are on a different release schedule than the US, so hopefully it will be available shortly. I’m also looking for a Kindle version but in the UK. It doesn’t seem to be available at the moment. Congrats, Cal. I have a copy and I’m reading it now. So far, it’s quite good. The manifesto style seems very appropriate. Regarding the contest, you already seem quite accessible and responsive to your readers. Whether or not this is true I don’t know, but usually when I think of a questions I’d like to ask you, I find that it’s already been answered. If I come up with a good question, I’ll find my receipt and enter. One other thing, I’m in the process of applying to graduate school right now – this is a direct result of reading this blog. You’ve completely changed my thinking in many ways. Thank you! Right now, there are Kindle versions available in the US and Canada. Negotiations are underway for the UK (not sure about Australia), but it’s complicated, and it might be a while until it’s available digitally in those locations. Congratulations on the first hardcover book! I stumbled upon your work through Mike Vardy. Thank you for saying to not follow your passion. I bought the book yesterday at B&N (15 minutes after reading about it on LinkedIn… seriously). Almost finished. It is definitely a life and career saver for me. Awesome advice! Thank you! Newport sir, isn’t Rule #1 poorly worded? I mean, people who haven’t ever read your blog will be reading this book, and they might be turned off for the rest of the book seeing that very first rule. Just a thought. Is the audio book broken into chapters? I like audiobooks for fiction, but all the audio books that I have ‘read’ are presented as long 6-8 hour files. With a non-fiction book I may want to reread chapters. There are no reviews of the audiobook as yet. Newport sir, isn’t Rule #1 poorly worded? I mean, people who haven’t ever read your blog will be reading this book, and they might be turned off for the rest of the book seeing that very first rule. I assume so. I’m used to listening to audio books through the Audible application, which works great. It let’s you skip chapters, remembers where you are, etc. Also, the narrator for my audiobook sounds way cooler than me. What are options for people who would like to purchase the Kindle version of the book (or in any other electronic format) yet cannot do so as it is not available internationally? The audible version is more than 6 hours long, and not broken into chapters. The reader is really awesome. I spoke with some of the book distributors here in the UK(Waterstones & WHSmith) and was informed that the publication had been cancelled in the UK. Is this the case or have there been more complications with the international releases? Just bought a physical copy of your book up here in Canada. …If I want to enter the contest what form of receipt do you want? A scan of my receipt from the bookstore? As a longtime reader of your blog, congratulations! I just got my copy. I came across ‘Study Hacks’ last April and have been a regular visitor ever since. I have been reinvigorated and thrilled by the topics you cover which has led me to incorporate some of the concepts you have discussed into my work and to generally reevaluate the way I think/organize my study/work life. As a second year graduate student just beginning to carry out research, the release of So Good could not have been more timely. I have just finished reading the Kindle version and have to say that I greatly enjoyed So Good. It was formulaic, clear, on point and a pleasure to read. Thanks for sharing what you’ve learned. Like the article says, you have grit. A fellow CS major here. Bought your book on iTunes last week. As soon as I started reading it, I couldn’t put it down! At first I got it so I could read the story or Lulu that appeals to me personally (I also remember a Lisa who was a DB developer you mentioned in the blog post here. Anyway, I have to say your book is one of the few I’ve managed to read voraciously straight through and it made a lot of sense. I was lost for many years seeking my true calling, and I almost even stopped working as I tried the lifestyle-design philosophy. Luckily I kept my job and decided to postpone the quest. Now I’m glad I did! When I read your comment on Tim Ferriss (that he had enough career capital to lead the lifestyle he does) everything clicked for me. I had been trying to understand his career for some time and have listened to all his interviews about it. It finally made sense when I read your book. I’m starting to put it into practice right now. I’m halfway through it, and I had to stop reading and say thanks so much for writing this. I’m 27 and have always been good at whatever I tried (for the most part). Particularly music like drums and guitar, and other creative things like photography. Since I was 6, I’d get into something and decide it was what I wanted to do. I’d eventually become good enough for my own plateau, and then just stay there, get bored and move on. I wish I would have been given these ideas, in this order when I was 16. 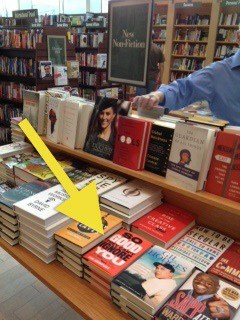 Your book is selling for $28.99 in Canadian bookstores. I had to order it off amazon where it’s about $14 +S&H (~= $21, would have been $18 if I’d ordered other new books) in order to get a copy of it without getting ripped off. I should mention that the dollar is mostly on par these days. The book sounds intriguing. I hope that the Amazon UK Kindle version will be available soon. I stumbled over an ad for your book while surfing the net. I ordered your book right away and just finished it this weekend (only took two days!). Every rule helped to dispel so many doubts I’ve had and alleviated so much angst that I’ve had the last 6 years at my software job. I finally have some confidence that I am doing the right thing staying at my job and working hard to deliberately build up my skills. It’s such a relief to have read your book. And I really wanted to thank you for the time and effort you put into this and to enlighten others on your discoveries. I tried to buy the kindle version (from amazon.com) but it’s not currently available. Such a shame, cause I’m really looking forward to it. 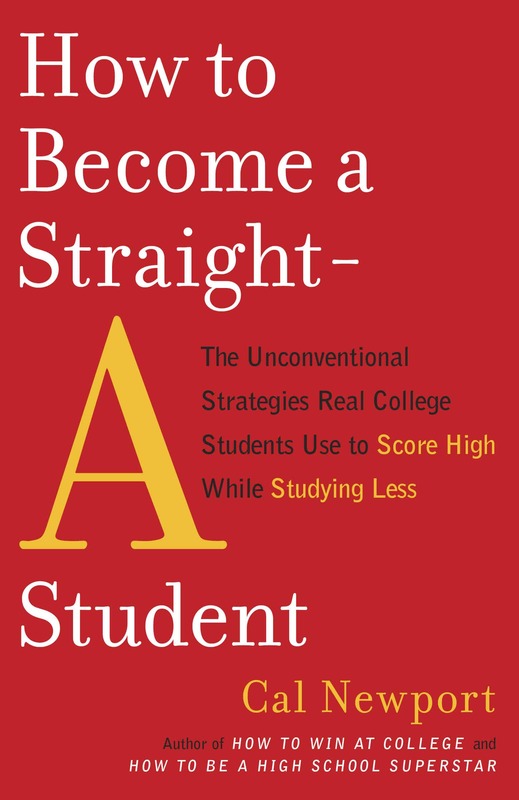 Some techniques from your book ” How to become a straight A student” changed my life. Here is to THE MAN of MANY talents!!! Congrats on a JOB well done. Just finished with the book. As a doctoral student studying the concept of calling I would agree that passion does come from a sense of competency. We’re passionate about the things that maintain and enhance the self. At the same time I think there exists a directionality problem here. I don’t believe that it is an either or situation. Does passion cause competency or does competency cause passion? I think the reality is that passion and competency are mutually reinforcing. 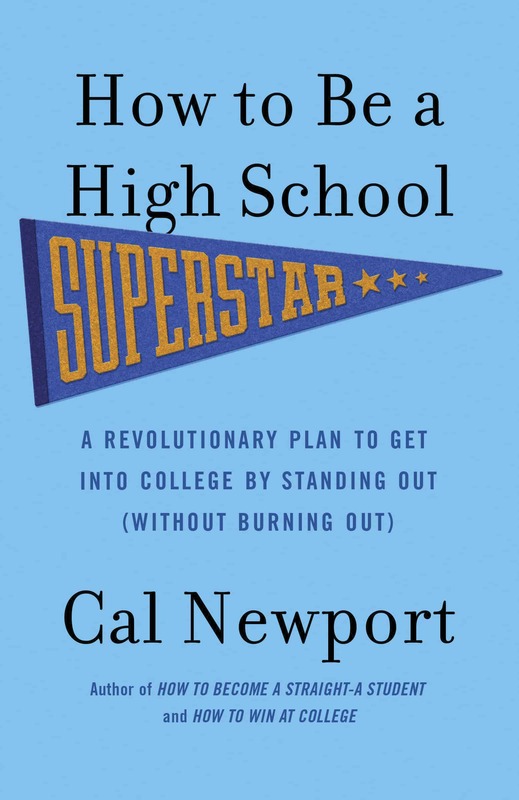 For example, Cal Newport became smart because he was curious and passionate about learning. Cal might say that he was passionate about learning because he felt a high level of competence in school. They are mutually reinforcing. Any news on the international kindle edition? I’m looking forward to it! Hi Cal, great book~! I can relate to your methods of analysis that delves more into the socio-psychological aspect of human thought and behaviour. In chapter 3 of your book, you mentioned the “exceptions” where following one’s passion may sometimes be helpful. I was once an athlete myself at a very young age so I would like to comment on this. It started when I realised how enjoyable running on the greens felt(feeling the wind and body movement). Naturally, I pushed myself to run as fast as I could every time I had the chance as I thought the excitement would be greater(and indeed it was). Then over time, it became evident that somehow I was the quickest runner among my peers. As I competed with more people, my confidence grew, and so did my passion for it. I would jump at any opportunity to race with others, challenging them and myself at the same time. However, I never trained as athletes do, and that’s probably why my “glory” was short-lived as me and my peers hit puberty. My peers who grew much taller were able to outperform me. From then on, my passion for running slowly died. So you are right. Ability does comes first before passion. Passion is not just an “interest”. It is a package of one’s interest, accomplishments and confidence in doing something that enhances one’s self esteem(in being valued by others). It is something worth fighting for. I wrote a book review of your book. I am an ardent follower of your blogs and writing and I am trying to incorporate deliberate practice to my life. I am not successfull yet but i am progressing bit by bit. Another example of building career capital can be found in this article by Harvard Business Review. I was skeptical when I picked up your book and noticed you look like a 22-yr-old and could not imagine what wisdom could come from such a young person with limited experience. However, I was pleasantly surprised as it confirmed what I had known all my life in my endless search to identify my passion and pick the corresponding occupation. Question: I have been a stay-at-home mom for 16 years who worked in HR before leaving the workforce. I am now preparing to return and have started taking certificate classes in the subject area to update my knowledge. I will soon start a certification course to increase my “career capital” as you say. What advice would you give me as I have already lost years away from the field? Have you had any experience with women with children and what adjustments did they have to make? Also, I was wondering how the concept “Skills trump passion” can be applied to relationships. Many people look for passion when starting a relationship but as the divorce rate proves, that is simply not enough.However, I would not advise anyone to start a relationship based on logic either. I wonder if there are some threads in your observations that can also be applied to relationships, including friendships. Great job on the book. It not only confirmed that something was not wrong with me in my elusive search to figure out the color of my parachute but it also gives me confidence that I can go back out with a new mindset to find work I love. So how then do you choose a major? At random? Ordered by income/employment prospects? Dentistry, law, banking, software, it’s all the same? Close your eyes, choose one by income prospects and demand, spend ten years working at it (disregard the fact that you find the material duller than dirt), and you will be happy? Allow me to assure you that that doesn’t work. I tried it. I lived it. It doesn’t work. It really doesn’t. When you lack the passion, and work alongside the people who have it, the difference is obvious. There is no hiding it. It has nothing to do with competence. The competence COMES from the passion, not the other way around. Don’t let some 30 year old who has never actually put these principles to the test (indeed, seems never to have had a real job) tell you any differently. Cal could you ask your agents again about the UK kindle version? About 14 people on this page have asked. While I appreciate your answer, I don’t get the complications. Logistics are a non-issue. What is there to negotiate? The problem with the international versions of the book is that with this book, unlike my previous books, I sold the worldwide rights when I sold the idea. Therefore, my agents aren’t out there selling the foreign rights, my publisher is responsible, and I have no say. I’m in the UK,hopefully your publisher realises the market overseas.Kindle is a worldwide market. Pingback: [book review] So Good They Can’t Ignore You: Why Skills Trump Passion in the Quest for Work You Love | Eugene!